Download the Internet videos that you like the most with 4k Video Downloader. 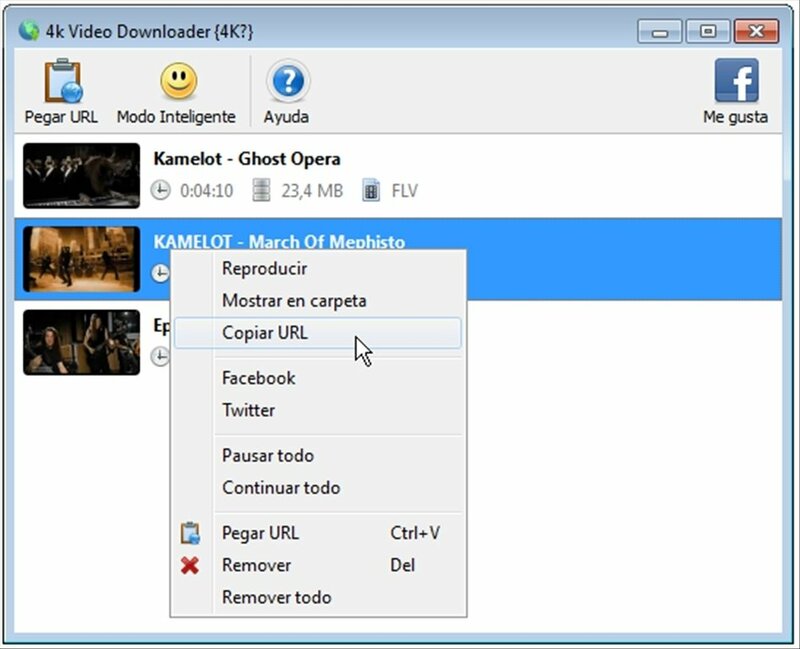 This software is a video download manager that captures the links from the clipboard, offers you the possibility to choose the final quality and downloads the videos to your PC. Download videos from YouTube and other video storage sites at the highest speed possible. Select the final quality and format of the video. 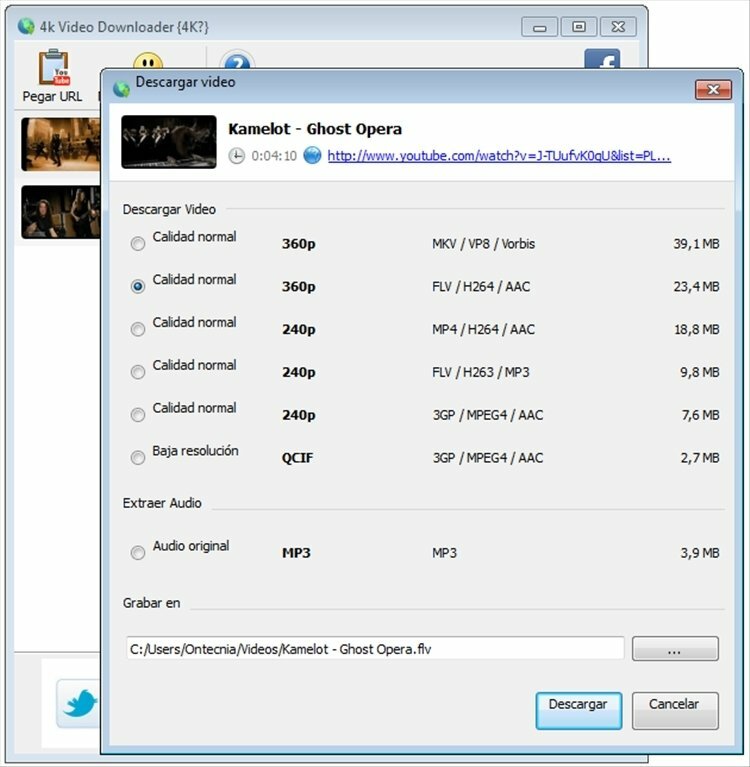 Extract and download only the audio from the videos. 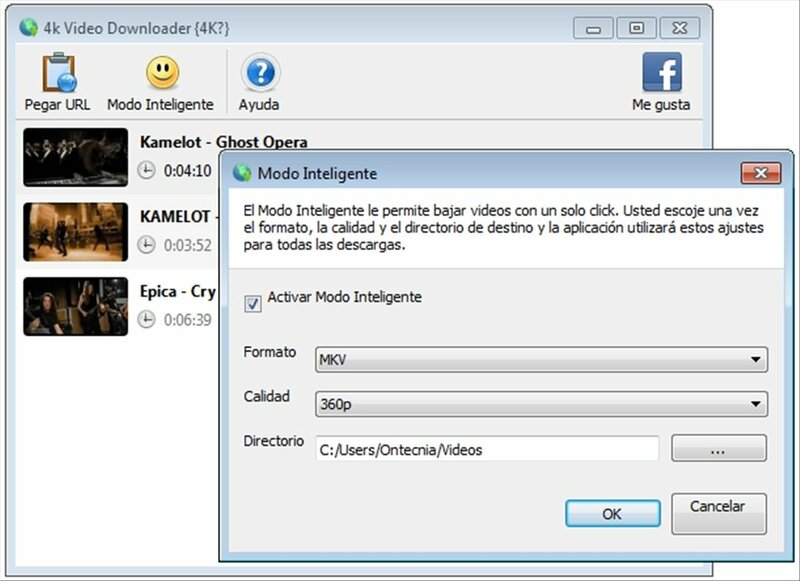 'Smart Mode': download videos with a single click by configuring the format and quality from the beginning. Handling 4k Video Downloader is simple. Copy the video address and use the 'Paste URL' dialog that can be found in the program's interface to paste it. 4K Video Downloader will analyze the link and will offer you the possibility to choose between different qualities and formats to download. You'll be able to view a list with all the downloaded videos, different info such as the size and format and you will even be able to play them automatically with the software that is set as the system's default. Download 4k Video Downloader for free, one of the easiest and quickest options to download videos from YouTube.